Happy Wedding Wednesday VOL 3. How working with WeddingWire is life changing! We’re halfway through the week and I couldn’t be more excited about that! 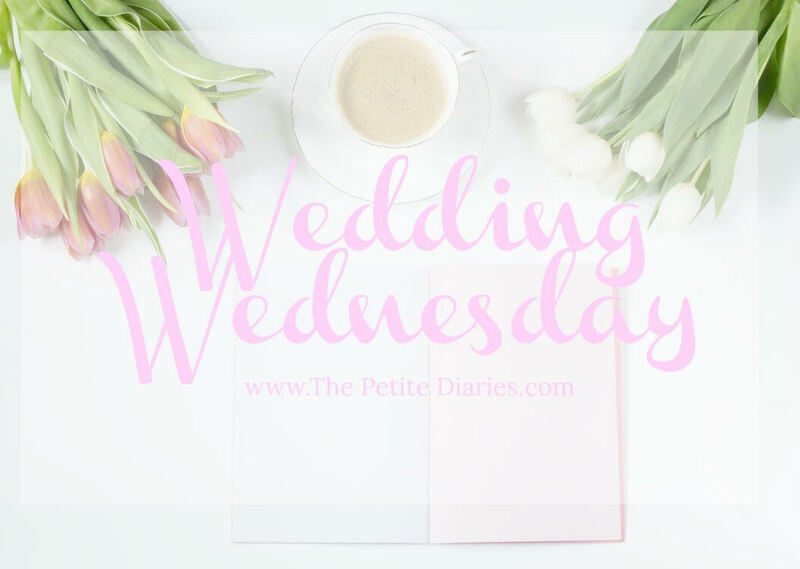 Speaking of excited, today I’m sharing another wedding Wednesday post with you all, this on is a little different but I'm super excited! I have been so overwhelmed with the responses and comments from you all since our engagement in July! You can read all about that special time over here. Y'all have been so kind about our new adventure and that makes my heart so happy. I wasn't sure at first if I wanted to do this series but my mind was changed, so I’m excited to bring this new element to The Petite Diaries. Speaking of exciting things, I can finally let y'all know how excited I am to share that I will be working with WeddingWire as I share my wedding planning journey! If you haven't heard of WeddingWire, they are the ultimate online resource for wedding planning. Can I say they are the 'google' of wedding planning? If you don't know anything about WeddingWire they are free tool for couples. Yes, you heard that correctly FREE! WeddingWire offers over 3 Million vendor reviews, inspiration, community forums, wedding advice, etiquette and tips! The possibilities are endless and this site is my new best friend! We all know that wedding planning is a ton of fun and a whole LOT of work, but looking forward to the journey. I plan on posting a Wedding Wednesday post every month about our wedding planning process. Of course, I have quite a few ideas in mind and a few things I definitely want to keep a secret until the big day, but in the mean time, if you have any post ideas or suggestions PLEASE let me know. I want y’all to enjoy this as much as I do! Have any of you ever used WeddingWire or heard of this company before? nice to know in case I need to plan a wedding. Congrats on your engagement! Wedding Wire sounds like an amazing site. I will have to keep them in mind when I get married one day! xoxoxo thanks lady!! I'm super excited and can't wait to see this new journey! So exciting! I love your hashtag too. It's so sweet and can continue to be used on your journey. Thanks lady! I'm excited as can be and can't wait to see what this adventure holds!